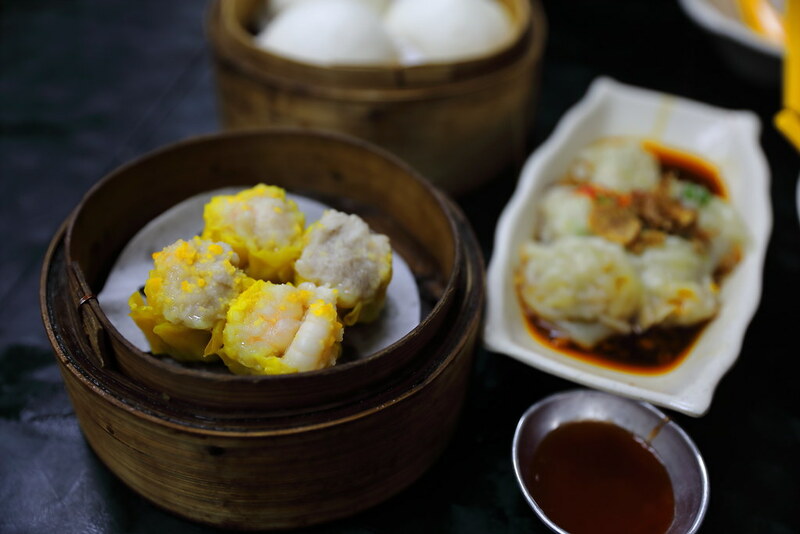 Victor's Kitchen at Sunshine Plaza has been a household name to go for Hong Kong style dim sum in Singapore. Run by a Hong Kong chef who has worked in 5-star hotel, bringing his vast experience to Singapore, affording all day dim sum. Shame to say, I have been avoiding the place because of the crowd even though I have read many good reviews of the affordable dim sum, especially their golden egg yolk lava bun. We started with the Tasty Queen Size Siew Mai ($4.80). Usually most siew mai has a higher ratio of minced meat to prawn ratio but not here. As you can see from the picture, the siew mai is stuffed with 2 prawns together with the minced meat. It gives the siew mai a crunchier texture which I enjoyed. For those that love spicy food, you will like the Poached Sze Chuan Dumpling in Spicy Sauce ($5.50). 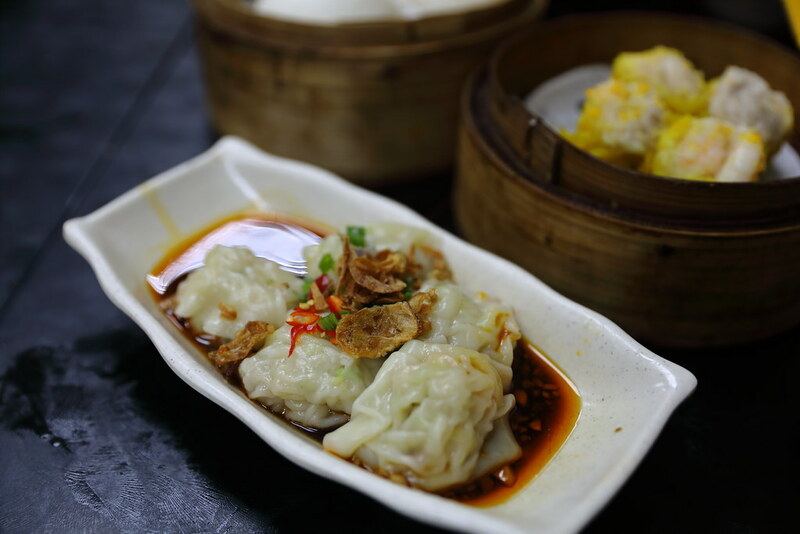 Each dumpling is rather huge in size, drenched in a fragrant spicy sauce that elevated the whole enjoyment. The Nemo's Porridge ($4.80) may sounds a bit weird but it's actually porridge with century eggs and fish slices. I was expecting the silky, creamy type of Cantonese congee but what is served is more to the grainy side. 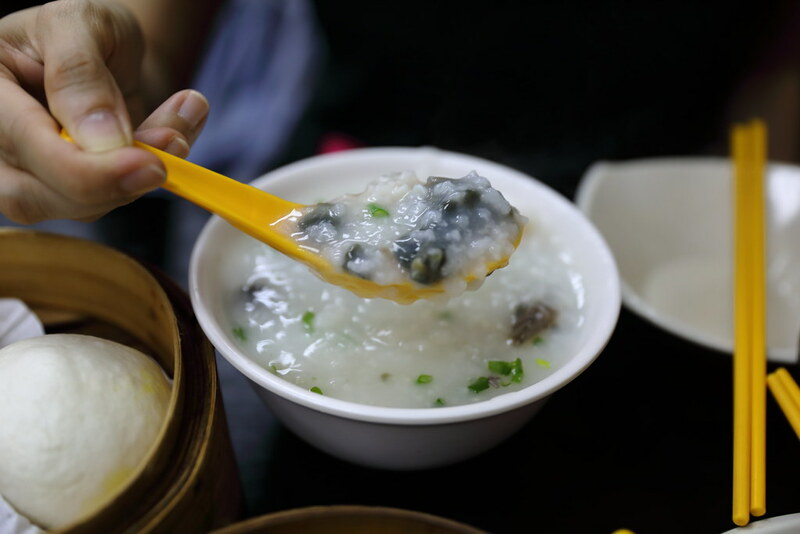 A simple and comforting bowl of porridge to go along with the dim sum. 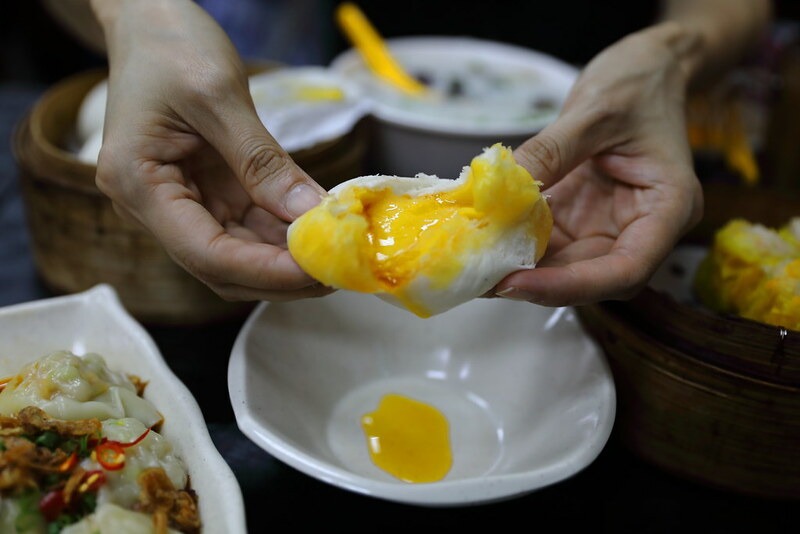 The legendary Golden Egg Yolk Lava Bun ($4.80) is not to be missed. 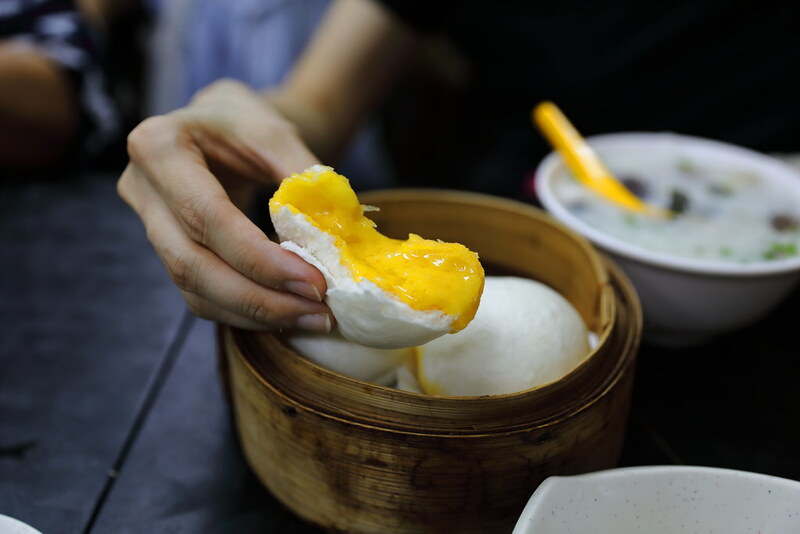 Inside the fluffy dough is the generous oozing, sweet and savoury salted egg yolk. Compared to many others that I have tried, the version here is sweeter and more buttery. The salted egg yolk flavour is not as distinct. The Hong Kong Style Pan Fried Cheong Fun ($5.20) is slightly different from the usual cheong fun we used to eat at dim sum restaurant. 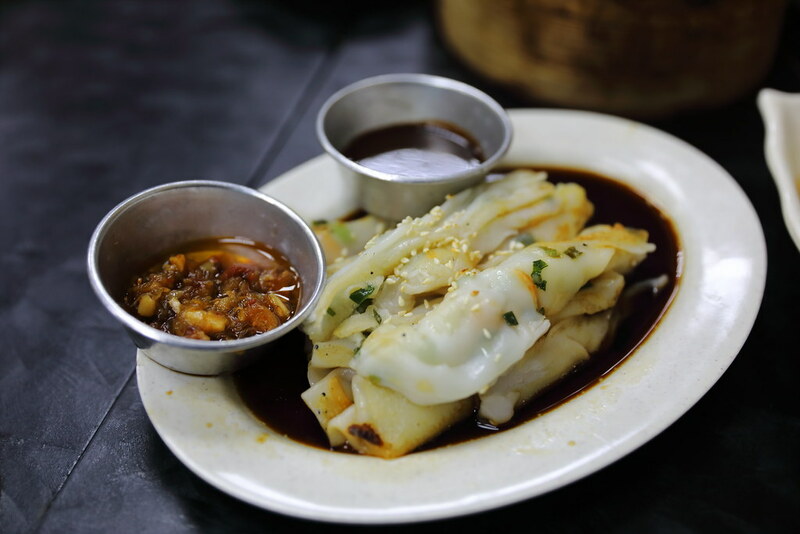 Instead of drenching the steamed cheong fun with light soy sauce. 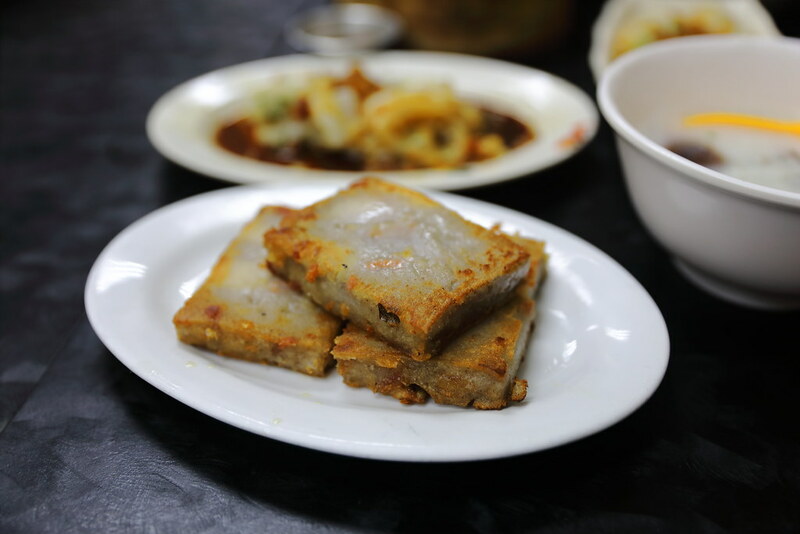 the rice flour is steamed, rolled into shape and slightly pan fried. It also comes with accompanying X.O. sauce and sweet sauce for dipping. Lastly, we tried the Sausage Yam Cake ($4.80). It is pan fried to a beautiful crisp on the exterior, while the interior is still moist. I like the addition of Chinese sausage to the yam cake, providing that extra boost in flavour. 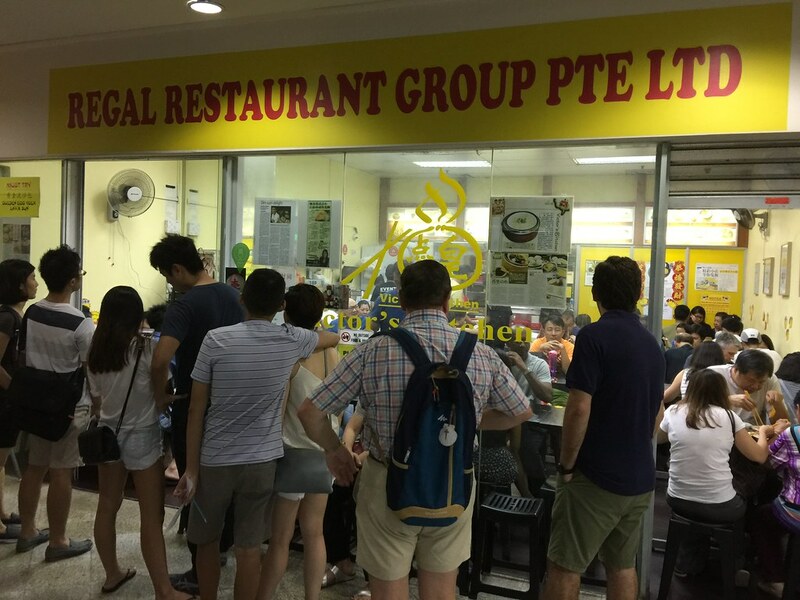 Do expect long queues if you plan to dine at Victor's Kitchen. On top of that, be pretty to sit shoulder to shoulder with other diners, just like those traditional dim sum places in Hong Kong.